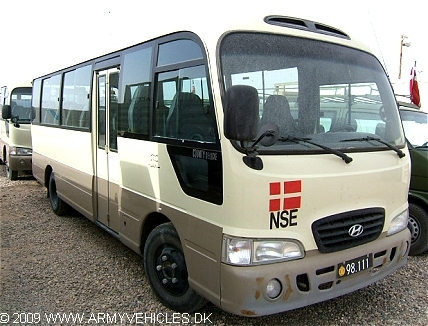 Danish Army Specific: Rented at Hertz in Kuwait around 2004/2005 and operated by the Danish Forces at Shaiba Log Base in Iraq. Returned to Hertz when the forces returned to Denmark. Length: 7.08 m (276 inches). Width: 2.03 m (79 inches). Height: 2.63 m (102 inches). Weight: 6.670 kg (14.674 lbs.). Additional: Specifications valid for 24-seater version. A 18-seater version were also available to the unit.